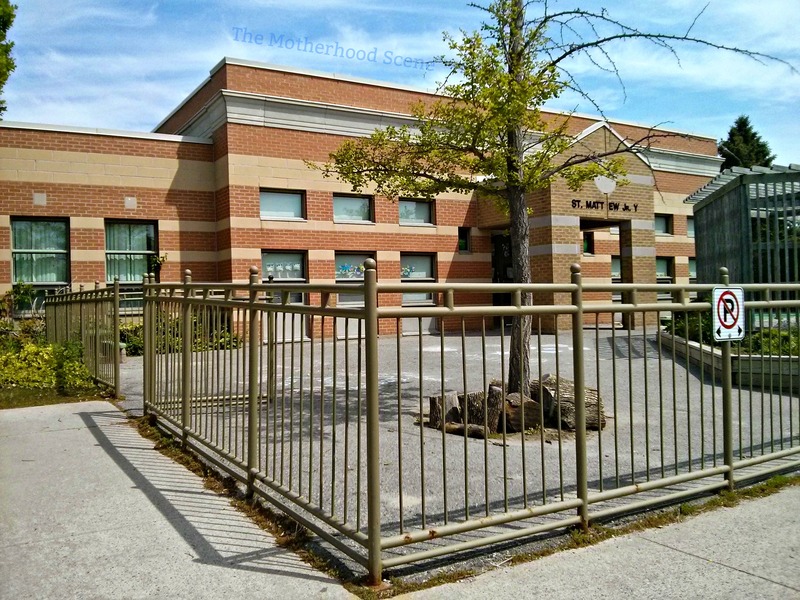 All that you find at the Whitby St. Matthew YMCA Centre will make sense to parents that are seeking quality childcare at an affordable price in North Whitby. The YMCA is the largest not for profit provider of Licensed Child Care in Canada and they use a Play To Learn curriculum. The location is perfect if you plan on sending your child to St Matthews or have children that already attend this school. The day care operates out of the same building as the elementary school so it shares a lot of the same look and feel inside. The toddler room has tall ceilings and lots of natural light from the windows that look out onto the outdoor space in the front yard. Whenever I go on a tour I make sure to take a look at all the facilities. It’s easy to overlook parts of a program or a facility if you’ve been looking at a lot of centres. This happened on my tour when I was invited to see the washroom/change room. It looks like most centres – Neat, tidy, organized. That was until I noticed the detailed notes hanging from the wooden cubbies that divided up the children’s wipes and diapers. On each note were instructions for each parent’s preferences for diaper changes. I can appreciate seeing something like this because it shows that staff are listening to parents. It can be time consuming to stay on top of documentation in any job but what I liked to see is that the staff at this centre make a special effort to do so. Part of the reason that staff are able to maintain this level of detail in their work is because the number of children that attend here is kept intentionally small. The centre is licensed for up to 15 children but they currently only take 10. Centre is open from 6.45am-6pm. The monthly rate varies. The rate is calculated using the daily rate multiplied by the number of weekdays in the month (e.g. For September 2015, the daily rate of $45.45 is multiplied by the 22 week days in the month = $999.90). Across the year, you can expect to pay between $954.45 and $1045.35 per month. This number includes tax. Registration is additional at $45. All food is included in the price. This includes 2 snacks and one meal, daily. Laundry is done on site. This saves from taking blankets home and washing them each week.